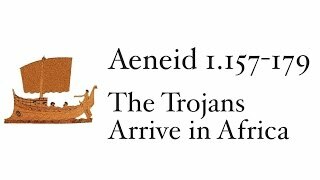 Safe in Africa, Aeneas decides to search for his men. Failing to see them, he does catch sight of three stags, and goes deer hunting. 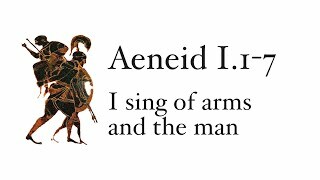 Aeneas provides meat for his men and begins to calm their sorrows with words. 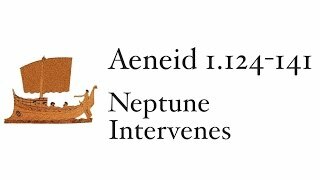 Neptune arrives on the scene of the storm and sees the wreckage of Aeneas' fleet. 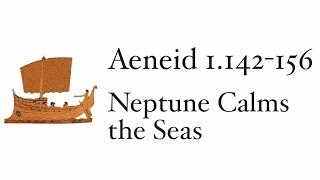 He summons the winds and rebukes them for daring to overturn the seas and Neptune's power. 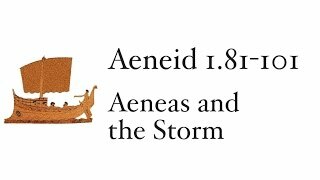 Then he sends the winds back to Aeolus, promising a much greater punishment. 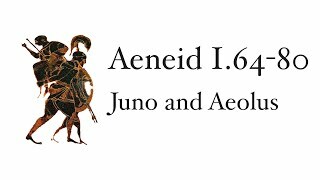 Juno addresses Aeolus and commands him to stir up a storm to overwhelm the Trojans on the Tyrrhenian Sea, just west of Italy. 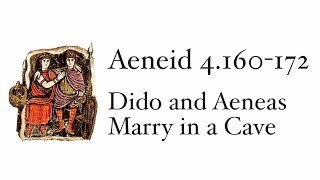 Aeolus owes a lot to Juno, and thus will do her bidding. 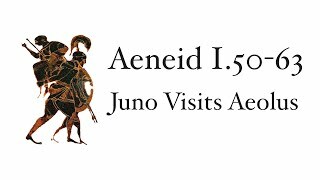 Juno visit Aeolus, the ruler of the winds and king of a floating island in the Mediterranean. 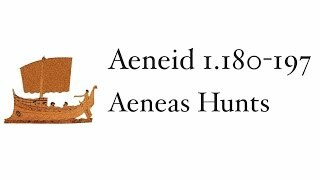 Her goal: to drive Aeneas far away from Italy and his fate. If only she could. 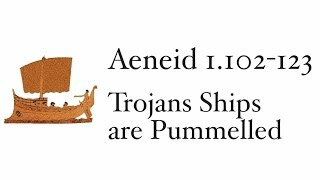 As the Trojans sail north from Sicily, Juno has other intentions. But first, a monologue as Juno unfolds the unfair treatment given to Minerva, who was able to kill a whole lot of Greeks all because of the crime of one man, Lesser Ajax. But Juno herself can't kill Aeneas? What kind of divinity is she? There's more to Juno's disgust of Aeneas and the Trojans than just the fate of Carthage, her beloved city. There's the judgment of Paris, the fact that one of the founders of the Trojans is an illegitimate son of Jupiter, among other reasons. 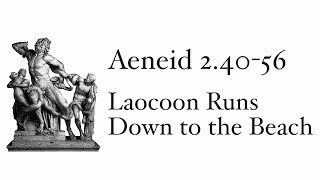 It's going to be very hard for Aeneas to found the Roman race! Aeneas has provided for his men by getting them food and wine, but the Trojans need something else: a rousing speech that reminds them of the difficulties of the past while promising them the glory of the future. 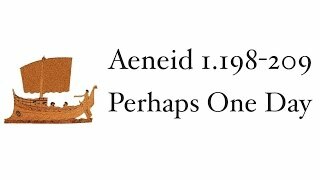 But does Aeneas truly believe what he's saying? Or does he just feel the weight of leading? The storm arrives with the clashing of winds, and huge waves are driven to the shore. 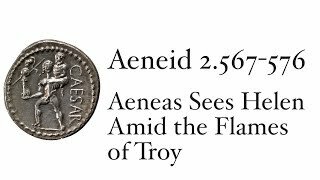 We also get our first appearance of Aeneas, our hero. He wishes for death and reminisces on the glories of the Trojan War and the past. We come across an ancient city, and we first think that it might be Troy. But no, it's Carthage, Juno's favorite city. 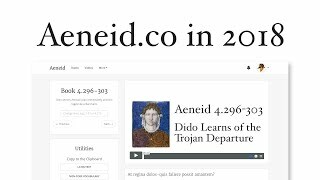 And in fact, we learn that it's the future destruction of Carthage by Rome that provides the impetus for Juno's hatred of Aeneas and the Trojans. In these lines of the Aeneid, Vergil invokes the muse to help him explain why Aeneas, a man of such great piety, would be forced to undergo so many trials and tribulations. We will see a reestablishment of the theme of rage. 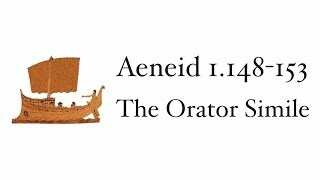 How does this compare with Homer's invocations of the muse in the Iliad and Odyssey? 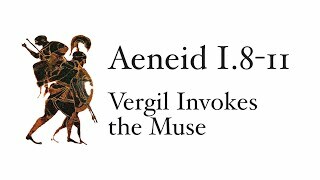 The first seven lines of Vergil’s Aeneid, arguably one of the greatest works of Latin literature, declares itself to be a tale of a refugee from the famous city of Troy who brought his old gods to Italy and eventually founded the race of people who would lead to the Romans of Augustus’ time. This video covers the Latin and major themes from these first seven lines.